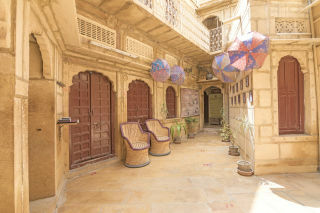 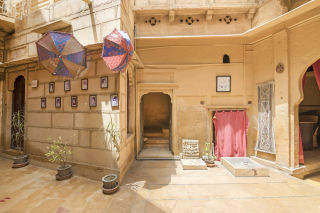 This property is basically a turned heritage constructed 500 years ago and is run by Vyas Family.It takes back you to the 15th century era with its charm and architecture still remains undisturbed.The property in which one can also relax on the rooftop enjoying sunset with a sip of home-made Masala Chai.As the heritage is a old, so all the rooms ceilings are being made with wood and iron hooks in it and the grounds are being made with cow dunk & yellow sand which make the atmosphere of the room's fresh, hygienic and cool. 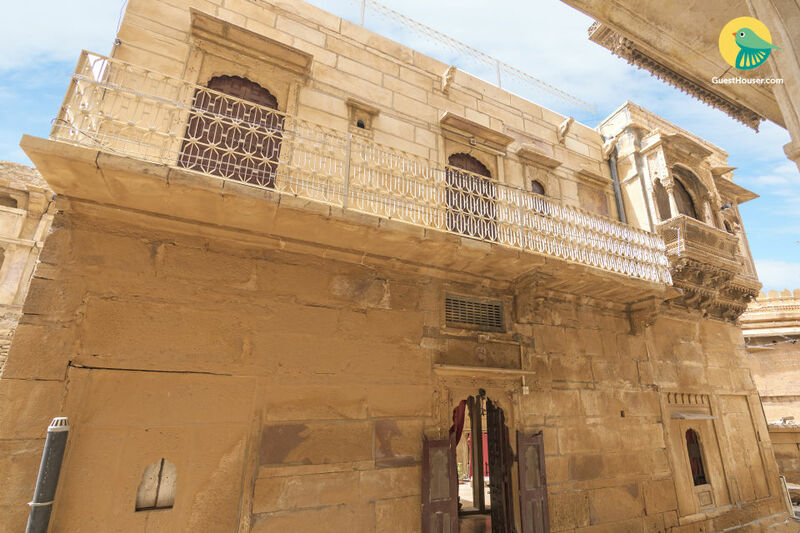 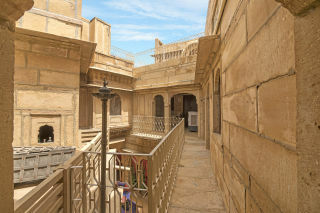 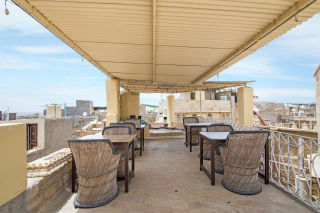 It is a nicely decorated Heritage with colourful curtains, delicate alcoves, gorgeous rooms, large balconies, winding staircases leading to rooftop with spectacular views all around the Fort in Jaisalmer, the city and to the desert beyond. 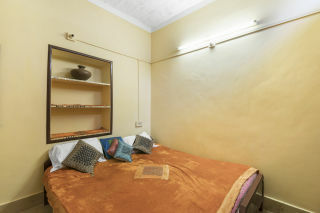 It is situated in a quiet and peaceful neighbourhood. 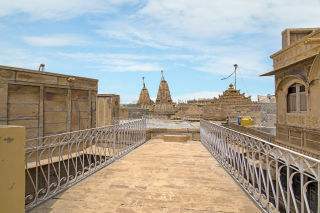 It also has a magnificent view over the whole city and the fort.